"All your I.T. & computing requirements, all under one roof"
Cyber Computers has a large customer base, based in and around Ashton-under-Lyne & Greater Manchester, ranging from helping the aged at "Age Concern (Age UK)", to the very young at schools & nurseries "Littel Red Day Nursery", car hiring "Bees Knees Car Limousines", solicitors "Smith & Tettley Solicitors", and many more others in different industries. If you're business is in need of IT support then please down load the PDF file below & see what Cyber Computers can offer at a fraction of the cost of what other firms are offering. Cyber Computers is a retail outlet, based in the center of Ashton-under-Lyne, a company which has been going from strength-to-strength since 2005. 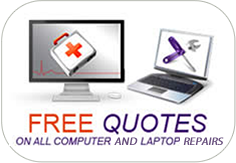 Cyber Computers has been offering a all-inclusive computer & laptop repair, services to businesses and non commercial clients, over the last six years. With a custom workshop, the business offers what many other computer repair shops cant, the chance for the client to watch an experience worked carried out on their computer or laptop. Cyber Computers has expert staff ready to help clients with any software or hardware problems with a 24 hour help line. Un-like all the big computer firms, and many other computer shops, we build the right pc for requirements. We find out what you will be using the PC for, and what you would like from you're PC to give us an idea, then we would recommend certain components to match you're needs an finally deliver a working PC system for you.